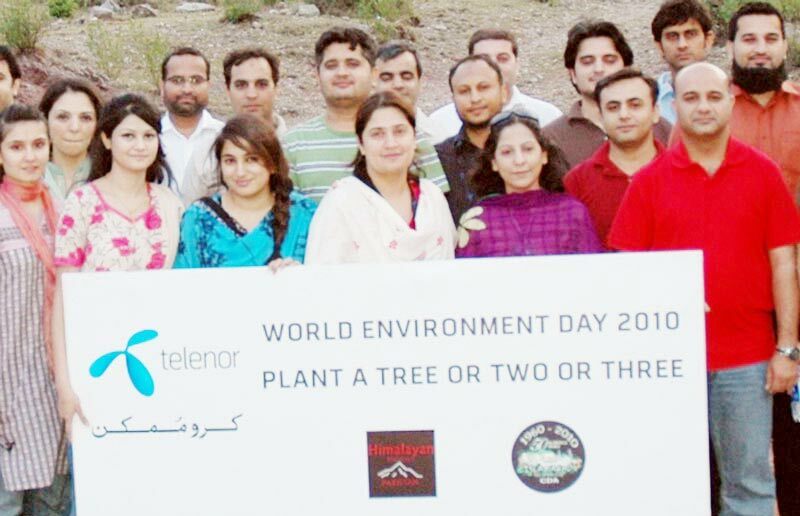 Marking the World Environment Day 2010, Telenor Pakistan employees planted Himalayan Pine trees in collaboration with The Capital Development Authority (CDA) here at Islamabad. The trees were planted at the Margallah National Forest, Loidandi near Bari Imam. Telenor Pakistan will ensure the post-cultivation maintenance of the plants until their growth into trees. The organization will cultivate at least 1500 more trees in the upcoming monsoon season. Good Work Done Telenor, This activity must go on and after planting the post-cultivation maintenance is very important,which is not done here in pakistan. I think it is good that Telenor planted trees but the location they selected is wrong in my view. They should select city where plants are not many. Than in my view a real contribution to the country they may have done. Bhai jahan zarurat hai wahan darakhat lagaien. Good thing done in useless way by Telenor. Yehi darakht Rawalpindi laga daitay, jahan zayda zarurat hai. I think Rural Areas And Main Big city Of the country are required more trees………….